Genova Technologies' teams and developers can step in at any stage of your Software Development Lifecycle (SDLC) to help your experts develop safe, effective, and FDA / IEC 62304 compliant medical device products and applications. We are a true Engineering Services company, working closely with you and your team to understand every aspect of your design, development, and testing needs, to help ensure quality Class I, II, and III medical device products and applications. Genova is ISO 13485 compliant, and its quality systems and practices are compliant with standards IEC 62304, ISO 14971, 93/42/EEC, and CMMI Level 3. 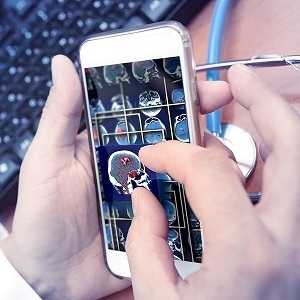 Medical device software development is growing increasingly complex in design and functionality to match the growing need for enhanced patient care and therapies. Now more than ever, you need a trusted and experienced software engineering services partner who can support you through every step of your medical device software development process. Genova Technologies U.S based, full-time engineering team has a wealth of experience and their focus is on ensuring the job is done right the first time. Genova helps you determine your software level of concern, ensure your software is 100% safe, and that it meets all necessary standards to pass the required regulations. Whether serving as your full-time development team (on-site or from our offices) or aiding your current team in any phase or area of need – from documentation and testing, to risk management and development – our staff keeps you up to date, informed, and involved in every step along the way. Our team focuses on support and partnership to improve efficiency throughout the software development process, leveraging best practices and tools to manage risk and stay on schedule. Your trusted partner for developing medical device software and testing. 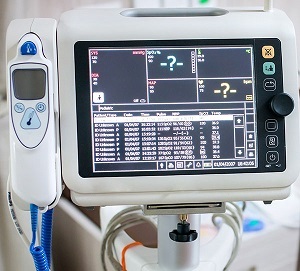 As medical devices become increasingly complex in functionality, medical device companies seek reliable partners for their software projects. Hardware engineering and concept design is often the strength of many medical devices development companies. In many cases, software development and processes can be delegated to trusted partners for cost-effective execution. At Genova, our expert engineers have designed software and applications for electronic and electromechanical systems, with performance, reliability, cost, manufacturing, and regulatory compliance in mind. Our team of experienced software developers, engineers, and testers offer specialized skills and abilities for a wide range of advanced electronic and electromechanical device projects, focusing software solutions on a product scale from full body applications and table top sized equipment to implantable devices. Genova Technologies provides comprehensive technology services through a variety of commercial and military programs and contracts. Genova designs and develops software applications for commercial, education, government, and medical & health customers, utilizing embedded, application, mobile, web and cloud technologies. Genova provides developers and teams who are experts in modern development techniques and processes across all technology sectors. Genova's expertise with delivering requirements in both Agile and Waterfall environments allows us to tailor our processes to fit our clients' evolving needs. Genova’s process employs rigorous CMMI methodologies for evaluating the correctness and quality of software products throughout the software life cycle, ensuring that the outcome and work product of a project meets formal specifications, for a variety of “Safety of Flight” and “Safety of Life” applications.